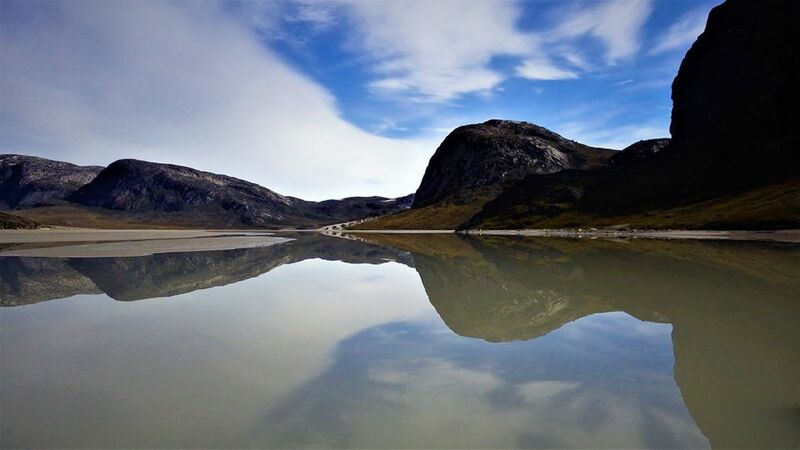 Kayaking & hiking trips to one of Greenland’s most unique arctic environments. 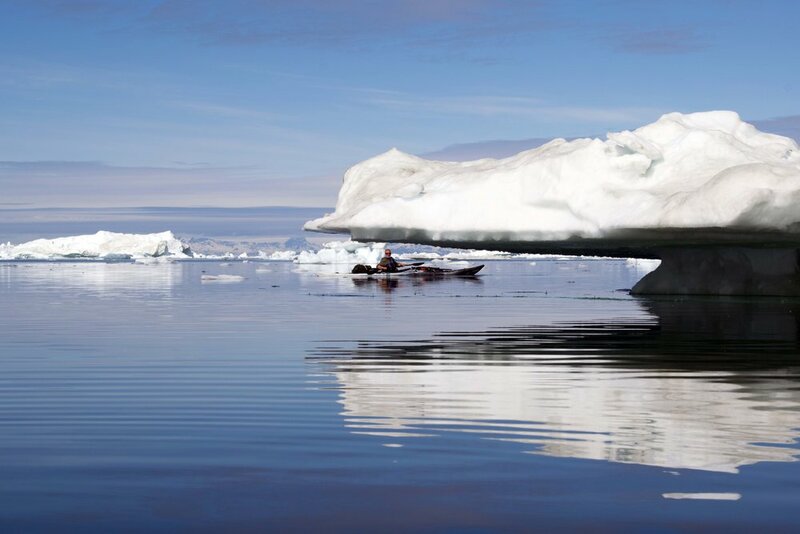 These are our yearly kayaking & hiking trips in one of Greenland’s most unique arctic environments. 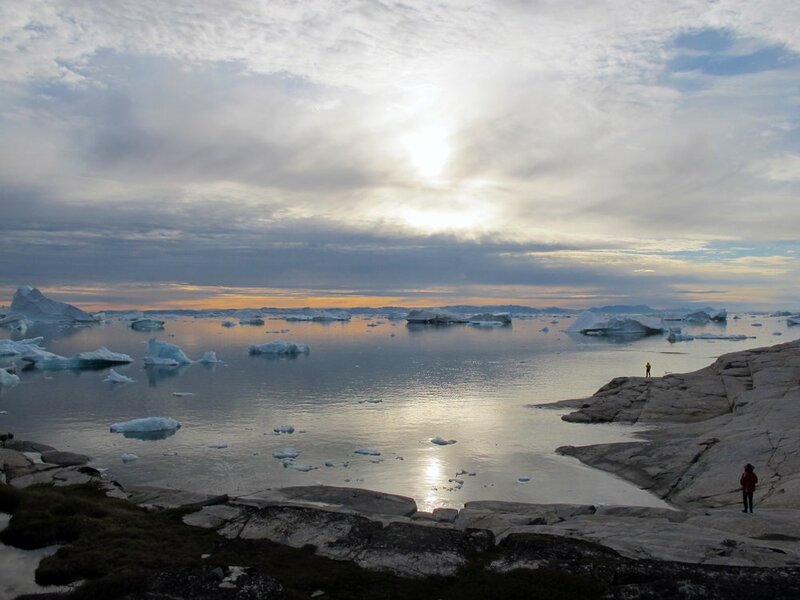 We go to Disko Bay which is a UNESCO World Heritage site, kayak among huge icebergs, hike to the interior, whale watch and enjoy the magical light of the midnight sun. The Spring Trip is designed for more experienced paddlers who have a level equal or higher than the Sea Kayak Award. Rolling is not required. The Summer Trip welcomes paddlers of all levels. Paddlers in this group might need to commit to several training sessions before the expedition to reach the level of skills and experience required to enjoy the trip and be safe. We camp for many days in an arctic environment, so it is important that paddlers in both trips have experience and are comfortable wild camping. The duration will be 16 days which include travel from the UK. To maximise the time, the trip will take place over 3 weekends and 2 weeks, meaning participants only need 2 weeks off work. The 2019 expedition is be led by one of the UK top kayak coaches. 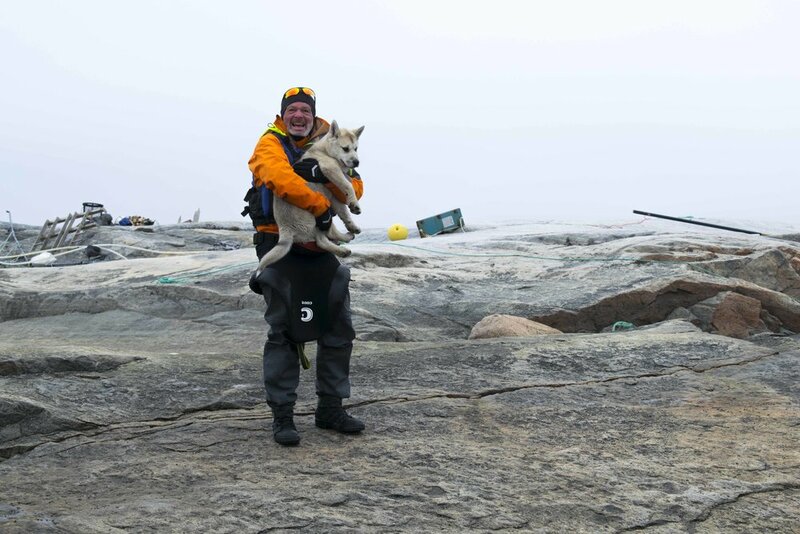 Roger Chandler works in Anglesey and coaches and expeditions in demanding environments. He runs one to the roof of Scotland, participates in coaching in the Orkney islands and has done several arctic expeditions. You will be in very good hands and will have the opportunity to develop your kayaking skills to a new level. A photo opportunity not far from Ililussat. 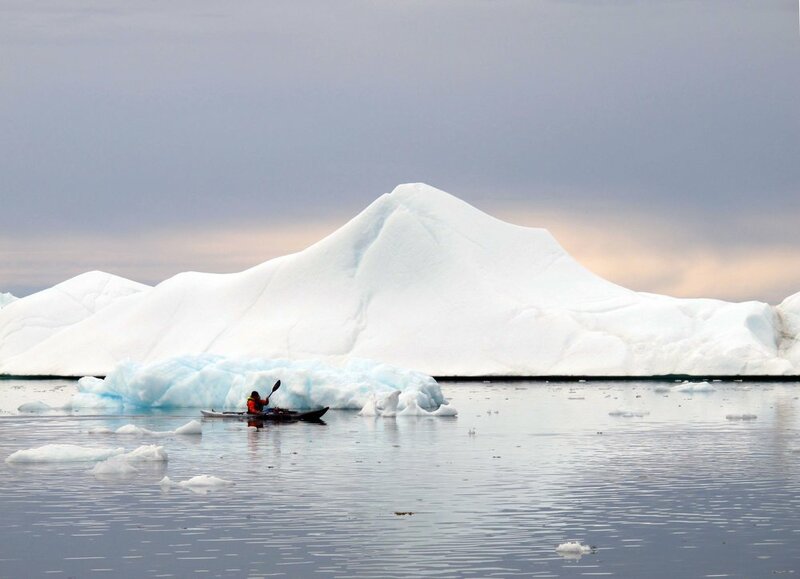 This expedition is an opportunity to paddle in a pristine ice environment in the arctic. We will set off from Ilulissat and travel north exploring the coastline, fjords and bays on the route before turning around. We expect to see plenty of wild life, including polar foxes, Greenland falcons and several species of whales. In 2018 we had sightings of whales most days during our trip. 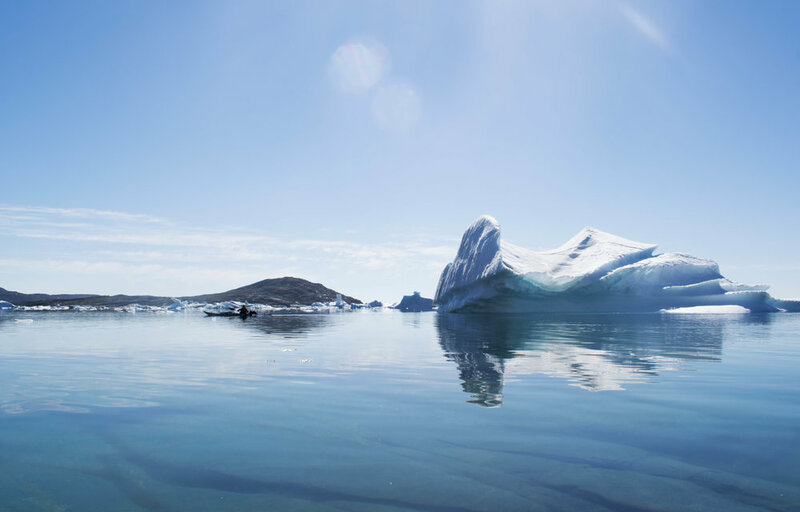 The Jackobshavn glacier next to Ilulissat calves the largest icebergs in Greenland which makes paddling here a once in a lifetime experience. At midnight, the light turns golden and the seascape with its bergs and puffing whales becomes magical. We will visit a traditional restaurant serving Greenlandic food including halibut, Atlantic salmon, seal, caribou and whatever else they may have fresh in. The restaurant is located in a tiny community in our route. We work with local businesses to make sure our visit benefits the local community. In 2019, we will be working with a local Greenlandic family who has recently established a new business in a small village. Tunnels in icebergs are a spectacular sight. Breakfast is at 9am in our communal tent if the temperature has climbed by that hour. If not, we will have a lie in until the day warms up. There is light for 24 hrs, so there is no pressure to start or stop early. Everyone is involved in cooking and camp duties so you will get to help around. If the conditions are good for paddling, we will spend 2 or 4 hours on the water covering between 10 and 20 kms. The going among the bergs is slow, as we need to be cautious, but also because they are spectacular and everyone wants to enjoy the sights and take pictures. 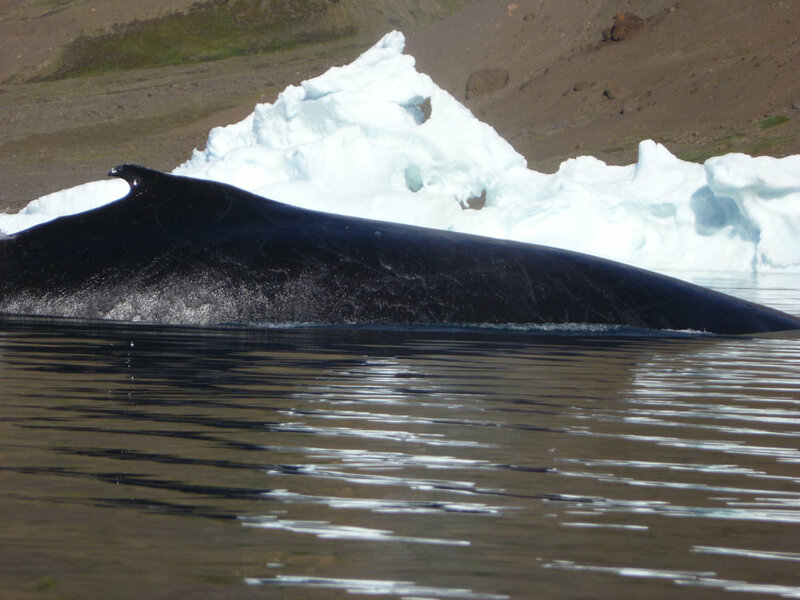 When whales appear among the bergs, we spend time enjoying the scene, taking video and photos. We normally stop for a hot drink and a light lunch. In the evenings we cook together and socialise. Not every day we might move camp. If the camp is good to go exploring from the kayaks or on foot, we might stay there more than one night. 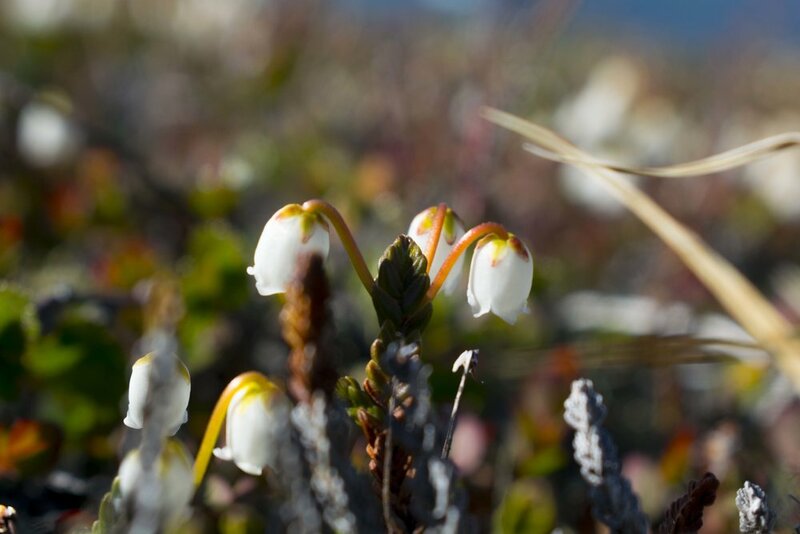 If the weather is not right for kayaking, we might go hiking in the tundra, go foraging for mussels or fishing, and those wanting a rest, can spend a day sleeping, reading or chatting in the communal tent. 20th, 21st & 22nd of March. As this is a coached expedition, there is the opportunity for paddlers to work as 'seconds' to the expedition leader if their experience is relevant. For example a 4 Star or Sea Leader paddler looking to gather experience for their Advanced Sea Leader award. Additionally, group members can take on tasks and jobs to help with the organisation and running of the expedition. To book, there is a non-refundable £1,500. Balance is due 6 months prior to departure. Payment plans can also be arranged with participants. Additionally, you will need to budget for expenses including kit, flights, two nights’ accommodation in Copenhagen, snacks, all your lunches and some sundries. 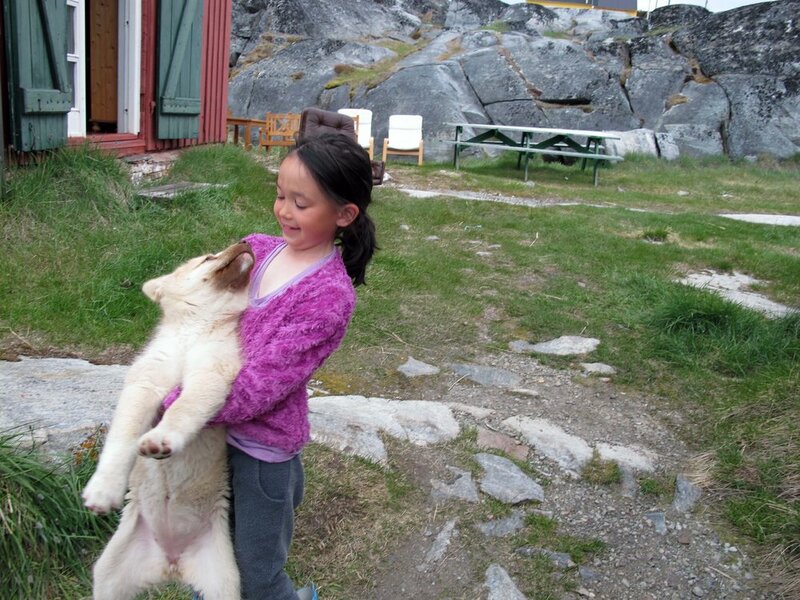 Our Greenland Trip prides itself of working with local people to bring benefits to the local community and businesses. In 2019 we will work with an Greenlandic/French family based in a small village of 24 inhabitants. 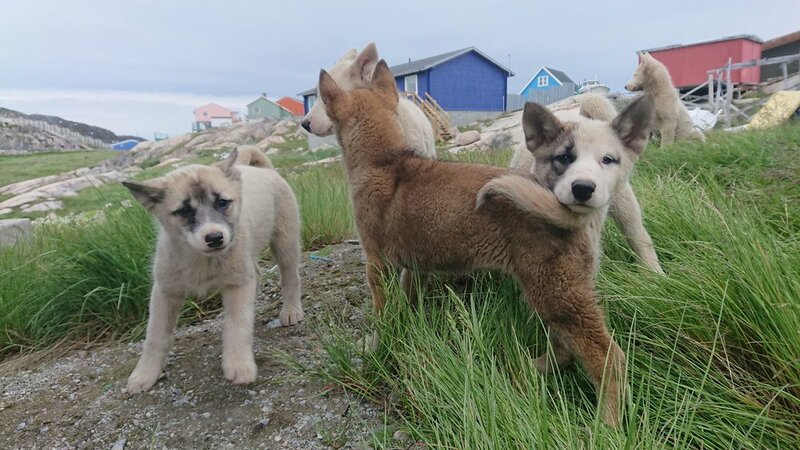 This family keeps the local traditions alive from the food they will share with us to their sled dog teams that they use during winter for travelling, hunting and fishing. We hope that our collaboration helps them and their community to be more successful and it give us and our participants the opportunity to interact with local people and have a deeper experience of the place. As part of our program we have a rubbish management plan to make as little an impact as possible in this pristine environment. In addition, we will collect rubbish from the ocean and the shores and dispose of it according to our plan. In order to support local conservancy work of polar bears, we are adopting cubs and making donations. Please follow the link to Polar Bears International to learn about the amazing work they do.